A Sweet Treat - Do Not Eat! Aren't these guys incredibly adorable? I can't tell you what they're for yet (and I'll try my hardest to actually remember to tell you once I can :P), but I just had to post them due to the aforementioned adorabubbleness. 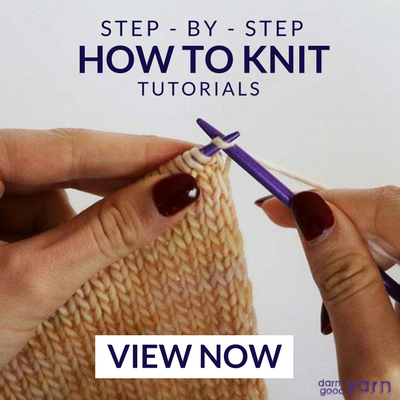 They were created from this incredibly easy cupcake pattern, perfect for any of you beginning knitters out there because it's knit flat, then seamed up the back. I knit all three flat as the pattern directed, but I think it would be much easier for me to create the cupcake itself in the round next time. 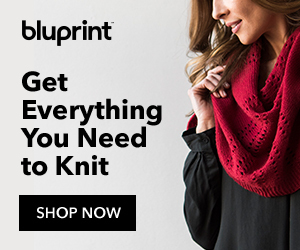 Possibly even the wrapper, as well, using a 1x1 ribbing instead of garter stitch. Mostly because I hate picking up stitches, hehe. I did find a pattern error. It says to cast on 7 stitches, but it really only made sense if you cast on 6. Otherwise, the number of stitches don't add up correctly. It could be that I'm doing something wrong - I don't know - but it worked out perfectly when I switched to 6. 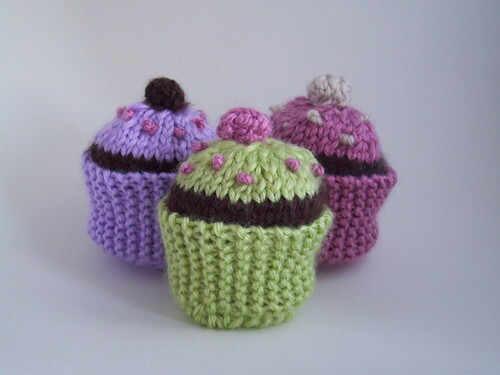 You can visit the project page on Ravelry to see each of the cute cupcakes by themselves :) Just don't eat them!